We provided, Time for Me for Young Carers which is a respite activity programme for young Carers from across the area within school holiday times. This time together will enabled respite opportunities for young people,focusing on health and wellbeing, offered peer support opportunities, and increased confidence within the caring role. We have done the following activities thorugh school holiday time for young carers, Day Trips - Flip Out Trampoline Park , Picnic and Paddling at Tralee Bay, Benderloch, Go Country in Aberfoyle for canoeing and inflatables, Swimming and Cinema in Oban , Karting and Laser Tag in Clydebank, Flip Out Trampoline Park in Glasgow (again because they loved it), Blair Drummond Safari Park. Residential Activities - Camas Residential on 10-12 April, Tiree Residential on 16-20 July. 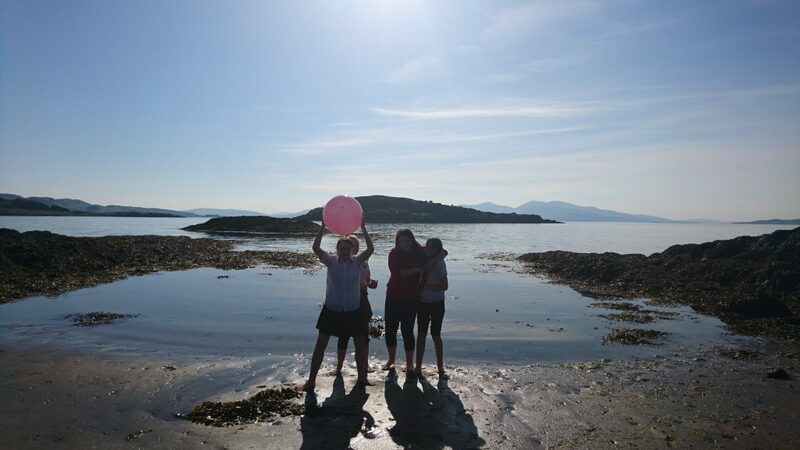 Young carers from the age of 8 participated in the above activities these young carers were registered with North Argyll Carers Centre and also we are continuously advertising and promoting these opportunities through colleagues in education, health and also in the third sector. We have utilised the resources available to us through our existing staff team and their strengths eg. 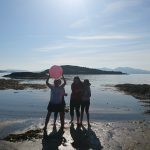 our Mull worker is a qualified counsellor, outdoor expedition, leader and has a wealth of experience in working with young people particularly around team building and personal development. He was able to be part of our team for the residential trips. Mutual benefit is clearly evident from both young carers and their families benefiting from access to respite and crucially for this area, in providing transport to get to places a significant barrier is removed. By listening and working within a person centred approach we believe that this reflects in personalisation for the young carers in respite options. As ever partnership approaches are key to making this work as logistics are crucial to ensuring young carers access to the activities we run. By having well developed community links we can ensure this happens eg. Oban High School transport support for young carers day trips enabled access to bus and driver for out of area trips. This coupled with volunteer commitment made these days happen more economically and smoothly. The value to creating space for young people to have time out deepens and strengthens the relationships with both fellow young carers and Young Carer Support Team enabling rich and supportive ongoing relationships. 80% of young carers attending respite activities will feel improved wellbeing. We captured ‘before and after’ data of how young people are feeling when they come to the activity and following the activity, we also reviewed following the holiday programme to review how young carers feel some time after all the activities. We followed up practical wellbeing support within after school activities to continue the support. Billy is 12 years old and was caring for his father who had cancer for a few years until he died just over a year ago, so we have been providing individual bereavement support on a weekly basis since then. He was very withdrawn and angry for the first few months and found it very difficult to talk about his feelings. We provided him with a nurturing relationship within which he could process the trauma and begin to re-imagine his future without his dad. We visited him and his mum at home and helped them to communicate their feelings and needs and tell their story of loss and grief. Billy continued to come to our after-school clubs which helped to put his suffering aside and have fun with his friends. He also came on day trips and to Tiree for a five-day outdoor activity personal development residential, which was extremely beneficial to him. One day on Tiree, he was out of his comfort zone and this triggered his trauma resulting in an extremely angry outburst which his keyworker responded to with compassion and empathy, much to his surprise. She then helped him to understand the psychological processes and offered some guidance on self-soothing and grounding techniques which he has been using ever since. This was a significant breakthrough for him and he is now able to talk about his dad’s death and his pain in a much healthier way. 100% of young carers will have had the opportunity to access out of school respite activity programme. We offered activities to all young carers and ensured that all young carers have had access to activities with us. Wendy is 14 years old and cares for her mother who has type 1 diabetes and issues with alcohol. Her dad works away so she takes responsibility for looking after her mum and her younger brother, who has social, emotional and behavioural problems. She has been suffering from stress, low mood and social anxiety and has not attended school for more than five days in over a year. We have supported her in various ways including taking her into school on the rare occasions that she has felt able to go, meeting with her every week to provide emotional support and guidance in relation to mental health and wellbeing, gaining and presenting her views at child plan meetings and child protection case conferences and visiting her at home when she has not felt able to leave. Wendy has continued to attend our activities, which has helped reduce her social isolation to some extent and helped to maintain her friendships with other young carers. She has taken part in a range of activities and days out. Recently she has started attending tutoring sessions but only because her keyworker went with her for the first few weeks. She has now gained the confidence to present her own views at meetings and is feeling a little bit more positive about the future. 80% of young carers across Oban, Lorn and Isles will feel more able to sustain their caring role and will feel greater confidence in their caring role. Young carers have access our social media closed group for ongoing support monitored by our Young Carers Service Co-ordinator, through informal and formal before and after surveys, young carers will report on increased confidence to continue their caring role and will also have developed peer support networks. Alyssa is 18 years old and is the main carer for her mother who has schizophrenia, learning difficulties and alcoholism. She has struggled with her own mental health since she started high school and completely disengaged from education when she was 14 which, combined with her anxiety and the pressures of looking after her mother, resulted in social isolation and clinical depression. When she registered with us she was self-harming and talking about suicide in addition to being in a very abusive relationship with an older boy. She had never really had any adult guidance, so she very quickly developed a positive relationship with her keyworker who helped her with stress management, self-esteem, job applications and everything in-between. She accessed respite and residential experiences with us and this supported ongoing increasing confidence and coping mechanisms. She eventually managed to end the abusive relationship, make some new friends and is now working full time, she still cares for her mum but doesn’t live there anymore and their relationship is much better. "The services are great for me it makes me feel better in myself and gives me something to look forward to every week. I couldn't do without it I would be a prisoner in my own home."